YT Wedding - a special kind of template. 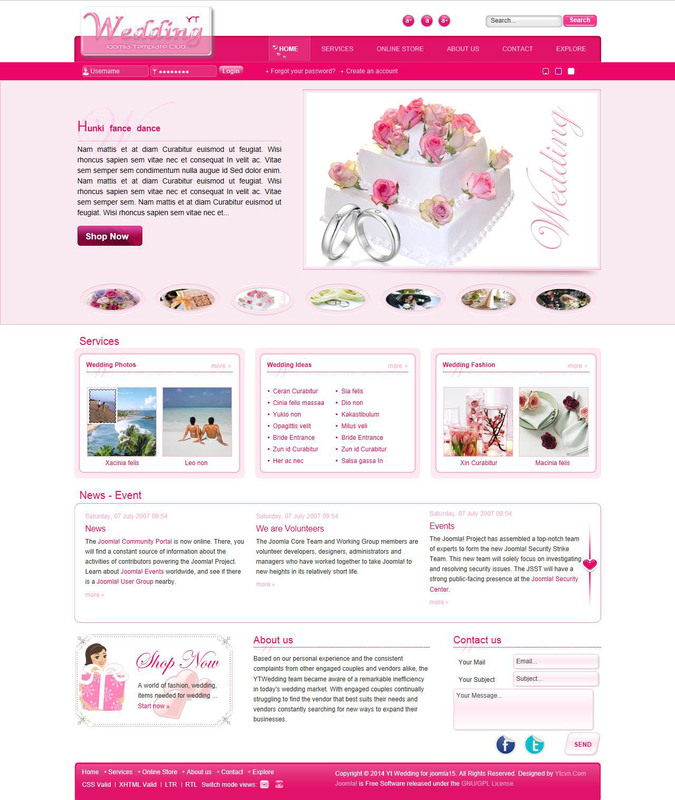 Developers SmartAddons design studio in collaboration with an online shop Virtuemart released this template to help various organizations around the world to create websites selling wedding merchandise, goods, dresses and everything related to wedding ceremonies. Club expansion Vm Slideshow Virtuemart and contributed to quality and fashionable display components pages. The template has the correct display in all popular browsers, as well as mobile and tablet devices.